Maidenhill is a brand new socially-inclusive neighbourhood in Newton Mearns, ranging from two-bedroom to five-bedroom homes, among acres of open green space. We worked alongside both CALA Homes and Taylor Wimpey in creating the brand identity and guidelines for this exciting development. Leading on from that we created signage and a fantastic website. We have also produced a video of the new project which you can view at the bottom of this page. 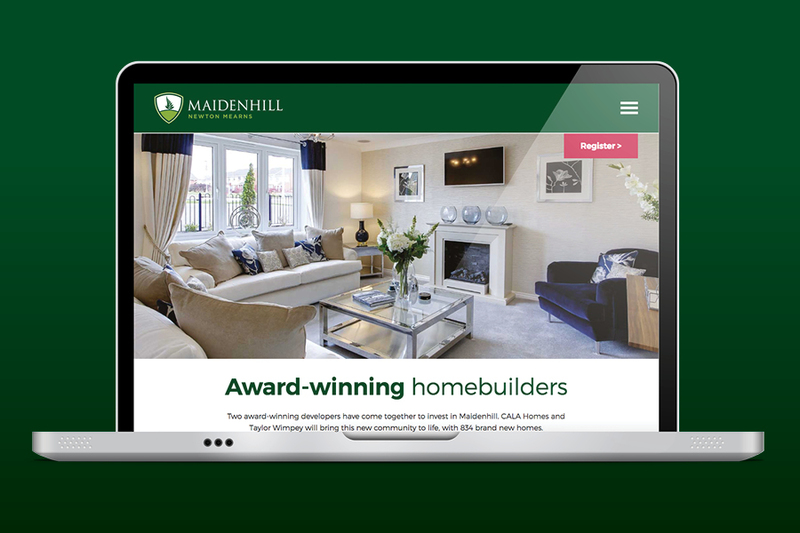 Visit maidenhill.scot to find out more.